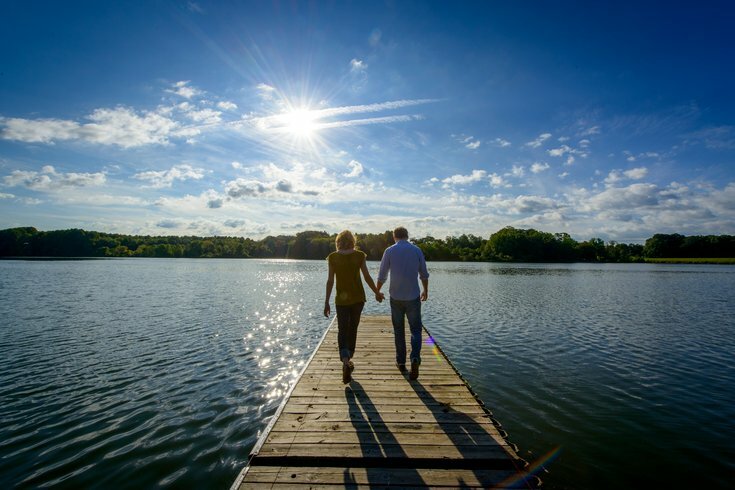 Core Creek Park is perfect for a stroll out onto the dock over the water. So if you're thinking of popping the question, the 10 spots below are unique, romantic and perfect for a photo opp. Constructed with native hemlock and oak, the Schofield Covered Bridge is a town truss bridge and is the longest in Bucks County. Drop to one knee on the docks of Lake Luxembourg in Core Creek Park or Lake Nockamixon in Nockamixon State Park. 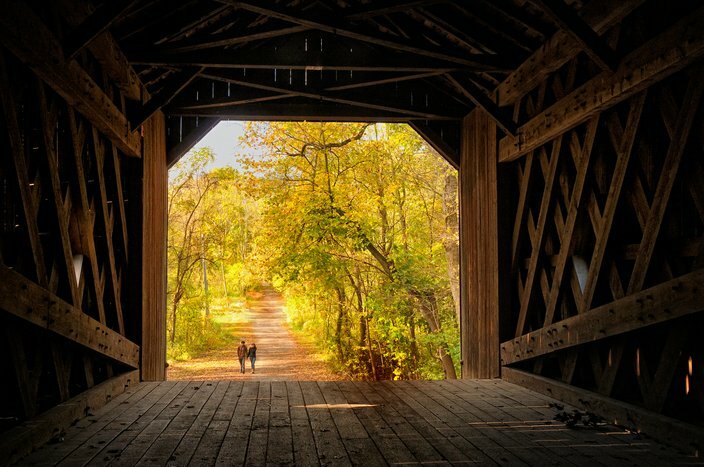 Schofield Ford Covered Bridge in Tyler State Park, one of 12 remaining "kissing bridges" in Bucks County, also offers a beautiful and historic backdrop for your special moment. Hot air balloon rides with the U.S. 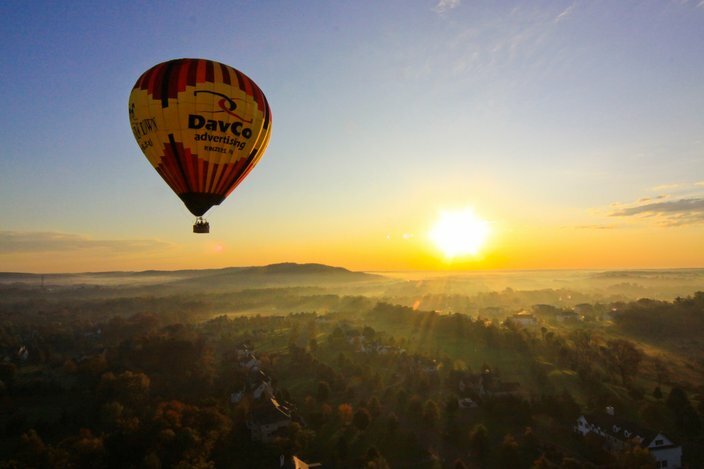 Hot Air Balloon Team offer a spectacular view of the early morning sun shining over Bucks County. Propose to your loved one high above the ground on a sunset hot air balloon ride with Balloon Rides Daily. The sun setting behind the charming countryside of Bucks County will be a breathtaking view that you and your significant other will cherish forever when you think back to this moment. 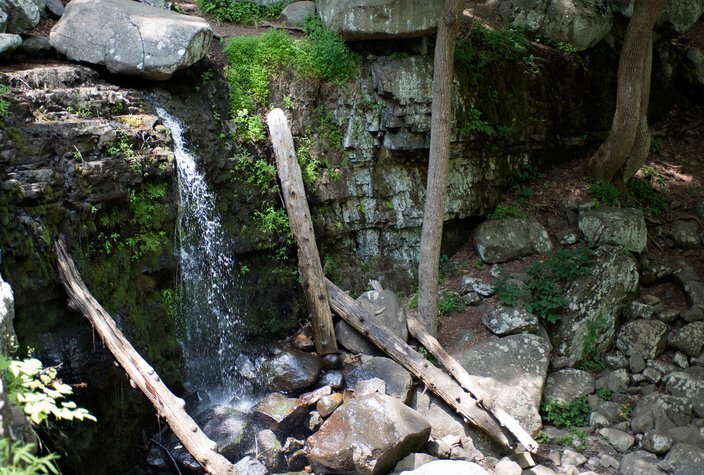 After taking your swings at Ringing Rocks, hit the trail to explore the rest of the park, home to Bucks County’s tallest waterfall. Looking for a rush? Consider popping the question at the base of the largest waterfall in Bucks County, located in Ringing Rocks Park. Open Table named the Inn at Barley Sheaf Farm as one of the 100 Most Romantic Restaurants in America for 2016. 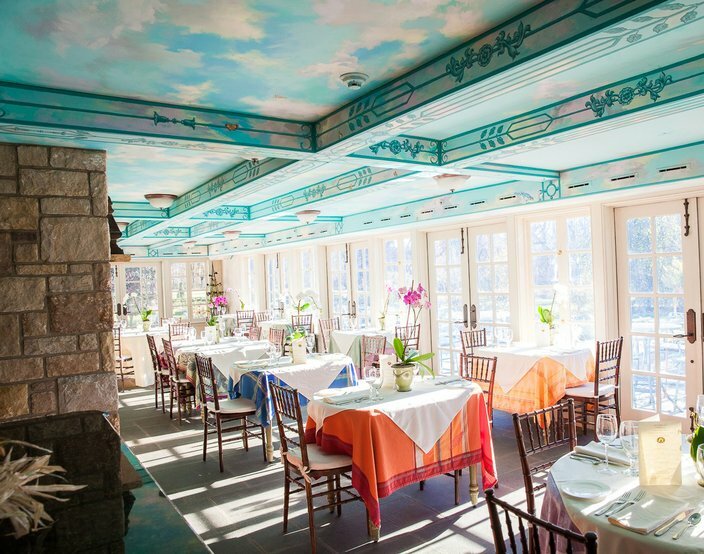 Make a reservation at the Inn at Barley Sheaf Farm’s restaurant — recently named to OpenTable’s list of the 100 Most Romantic Restaurants in America — located in the conservatory dining room with three walls of windows overlooking the gorgeous gardens. See the imposing Bowman's Hill Tower, a commemorative monument to George Washington spiraling into the sky. 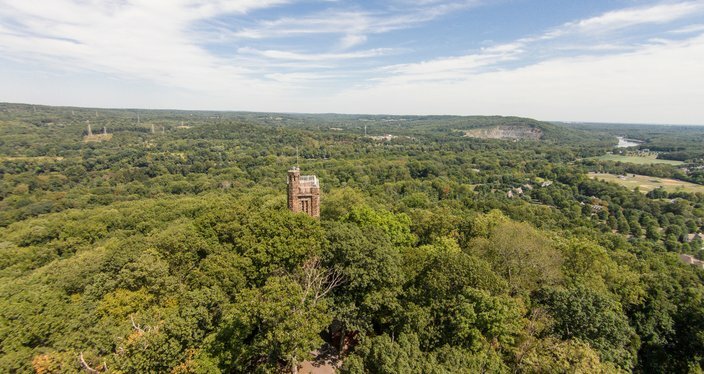 Your fiancé will feel on top of the world with an engagement at the top of Bowman's Hill Tower. Located on the grounds of Washington Crossing Historic Park, Bowman's Tower offers the best view in Bucks County, 14-miles on a clear day. From the top of the 125-foot tall tower you see a sweeping view of the Delaware River Valley. Henry Chapman Mercer's Fonthill Castle rises through the trees on the Mercer Mile in Doylestown. The castle now houses a museum dedicated to Mercer's life and work. 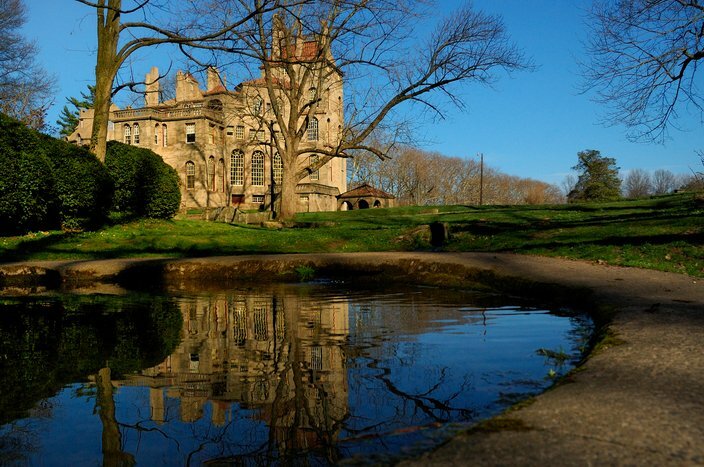 Make your love feel like royalty by proposing in the shadow of Fonthill Castle, an enchanted six-story castle built by archeologist and collector Henry Mercer between 1908 and 1912. A truly green business, Crossing Vineyards and Winery is powered by solar panels, greatly reducing the winery's carbon footprint. 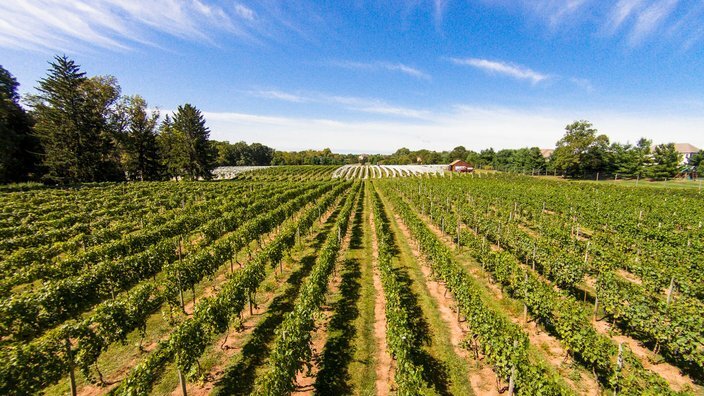 The nine wineries along the Bucks County Wine Trail offer countless romantic ways to pop the question. Take a tour of Sand Castle Winery and propose in the vineyards at the foot of the namesake castle or ask for your lover's hand in the candlelit barrel room at Crossing Vineyards. 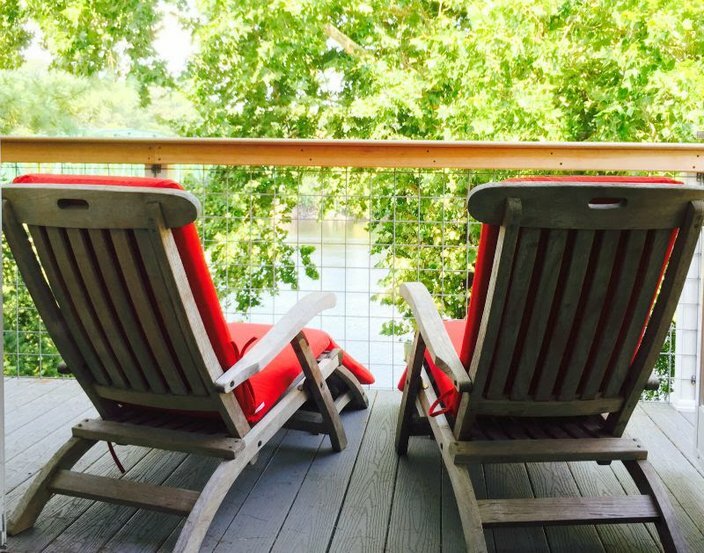 The only riverfront B&B Inn in Bucks County, the Bridgeton House offers French doors, private balconies, fireplaces, luxurious penthouse and boat house. Spend the night in the Penthouse at the Bridgeton House on the Delaware. This extravagant suite includes a king size bed, wood-burning fireplace, grand bathtub and a private patio overlooking the Delaware River. Another option would be the engagement package from The Inn at Bowman’s Hill, a luxurious B&B just outside downtown New Hope. While you take your sweetheart to a romantic dinner, the staff at the Inn will prepare everything for that magical moment. The Inn’s Orchid Conservancy — a year-round tropical paradise — provides a romantic backdrop with candles, music, champagne and roses waiting for you upon your arrival. Stroll through Linden Hill Gardens until you feel the right moment to propose among the ornate flower gardens and cobblestone pathways. There is beauty around every corner of this garden, making it a special place to spend time together before asking the big question. Grab a canoe, kayak, raft or tube for parties, meetings and more at Delaware River Tubing. 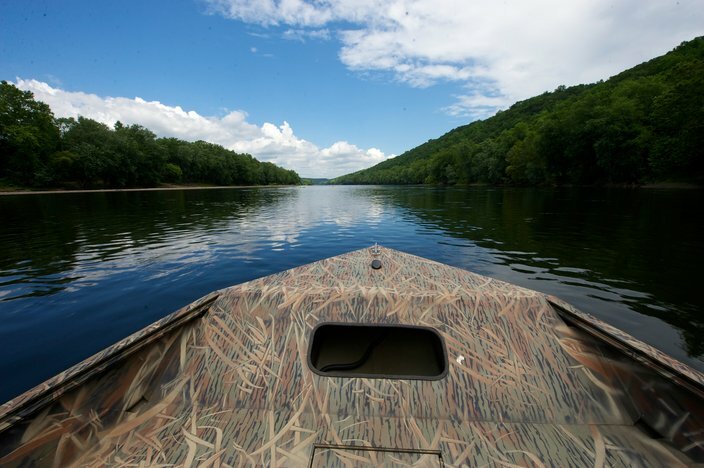 Paddle down the winding Delaware River with your future fiancé in a canoe with Bucks County River Country. Popping the question surrounded by nature will make your partner feel like they're in a scene from a movie. Just don't drop the ring in the water!